This was only a test; a nationwide test of the Emergency Alert System took place Wednesday afternoon, to ensure messages can get through in the event of a national emergency. 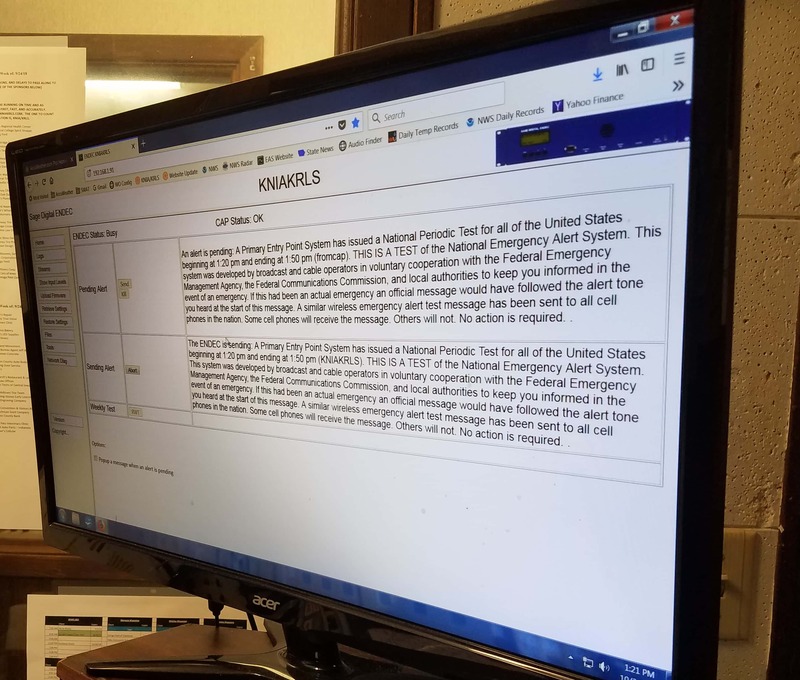 The Federal Emergency Management Agency says the testing was held in two stages; cell phones and other wireless devices received an alert message via Wireless Emergency Alert at 1:18 p.m. and a message for broadcasters, including KINA and KRLS, went out at 1:20 p.m.
FEMA says this is the first national test to examine whether a direct message from the President is reaching all intended users. This test was originally scheduled for last month, but had to be postponed while the agency responded to Hurricane Florence. During a real emergency, tune in to KNIA/KRLS for more information.